Introducción: El dolor perineal posparto es un problema clínico frecuente, no abordado en profundidad en Colombia. Objetivo: Determinar la prevalencia, severidad y posibles factores asociados con el dolor perineal postparto en una muestra de mujeres en el Hospital La Victoria-Instituto Materno Infantil de Bogotá. Materiales y métodos: Estudio observacional prospectivo. Se evaluó el grado de dolor perineal percibido en 133 pacientes en posparto, mediante la escala análoga numérica de dolor, estando acostada, sentada, caminando y yendo al baño (micción y/o defecación), a las 12 y 48 horas postparto. Datos demográficos, del parto y recién nacido fueron tomados directamente de las historias clínicas. Resultados: Prevalencia global del dolor perineal moderado a severo 36-39,5% dependiendo de la actividad a las 12 horas del parto y entre 28-31,6% a las 48 horas. El dolor perineal se encontró asociado, en cualquiera de las actividades valoradas, con el uso de analgesia epidural durante el trabajo de parto, desgarro grado II o mayor, peso y perímetro cefálico del recién nacido. Se registra mejor efecto analgésico con dosis de acetaminofén de 3 g diarios o más. Conclusiones: El dolor perineal moderado a severo afecta a menos del 50% de las mujeres postparto vaginal; se asocia con la frecuencia y magnitud del trauma perineal. Los resultados sugieren la necesidad de profundizar en el estudio del manejo analgésico más adecuado para estas pacientes. Introduction: Postpartum perineum pain is a common clinical problem, which is not addressed in detail in Colombia. Objective: To assess prevalence, magnitude and possible factors associated with postpartum perineum pain in a sample of women in the Hospital “La Victoria-Instituto Materno Infantil”, in Bogotá. Materials and methods: A prospective observational study was performed where the degree of perineum pain perceived by 133 postpartum patients was evaluated by using numerical analog scale of pain when they were sitting down, lying, walking and going to the bathroom (urination and/or defecation), at 12 and 48 hours of postpartum . Demographic, birth and newborn data were taken directly from the medical records. Results: Overall prevalence of moderate to severe perineum pain 36 to 39.5% depending on the activity at 12 hours of delivery, and since 28 to 31.6% at 48 hours after it. Perineum pain was associated, during any of the activities assessed, with the use of epidural analgesia during labor, laceration of degree II or greater, birth weight and head circumference of the newborn. Better analgesic effect of acetaminophen doses as 3 g per day or more was registered. Conclusions: Moderate to severe perineum pain affects less than 50 % of women with vaginal postpartum. It is associated with the frequency and degree of perineum trauma. The results suggest the need for further study of the most appropriate analgesic doses for these patients. MD. Esp. en Anestesiología y Reanimación. Universidad Nacional de Colombia. Bogotá, Colombia. MD. Esp. en Anestesiología y Reanimación. Profesor Asistente Facultad de Medicina, Universidad Nacional de Colombia. Bogotá, Colombia. Marques NA, De Almeida N, Bachion MA, de Souza JT. Concentração plasmática do hormônio adrenocorticotrófico de parturientes submetidas a método não farmacológico de alívio da ansiedade e dor do parto. Rev Latino-am Enfermagem. 2005;13(2):223-228. Stuber KJ, Wynd S, Weis KA. Adverse events from spinal manipulation in the pregnant and postpartum periods: a critical review of the literature. Chiropr Man Therap. 2012;20(1):8 doi:10.1186/2045-709X-20-8. 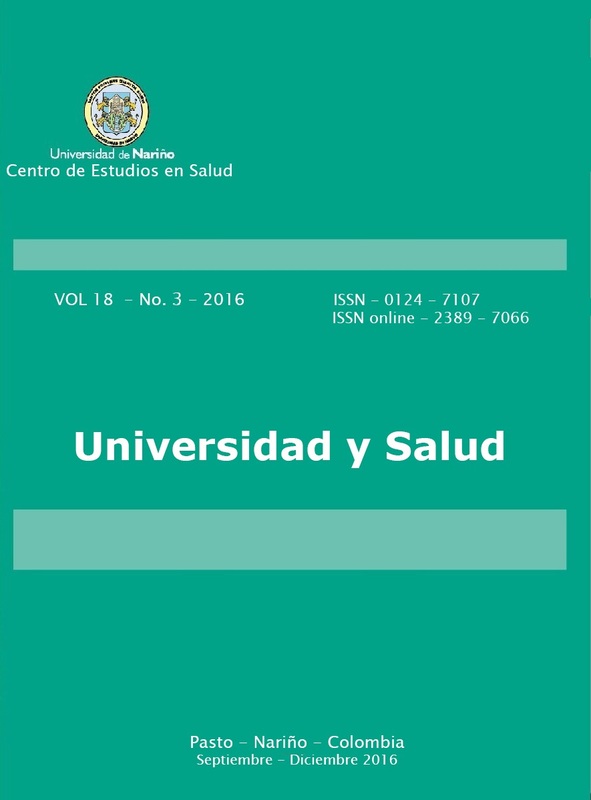 Disponible en: http://www.ncbi.nlm.nih.gov/pubmed/22455720‎ (Cons: 13-03-2014). Macarthur AJ, Macarthur C. Incidence, severity, and determinants of perineal pain after vaginal delivery: A prospective cohort study, Am J Obstet Gynecol. 2004; 191(4):1199-1204. East CE, Sherburn M, Nagle C, Said J, Forster D. Perineal pain following childbirth: Prevalence, effects on postnatal recovery and analgesia usage. Midwifery. 2012;28(1):93.97. Persico G, Vergani P, Cestaro C, Grandolfo M, Nespoli A. Assessment of postpartum perineal pain after vaginal delivery: prevalence, severity and determinants. A prospective observational study. Minerva Ginecol. 2013; 65(6):669-78. Amorim A, Hiromi M, De Souza C, Luana R, De Paula E, Junqueira SM. Association between perineal trauma and pain in primiparous women. Rev Esc Enferm USP. 2014; 48(Esp):39-44. Leeman LM, Rogers RG, Greulich B, Albers LL. Do unsutured second-degree lacerations affect postpartum functional outcomes?. J Am Board Fam med. 2007;20: 451-457. Li Q, Li CX, Liu Y, Xue WN, Chen TM. Influence of epidural ropivacaine in combination with fentanyl for labor analgesia on the clinical outcome of labor. Nan Fang Yi Ke Da Xue Xue Bao. 2008;28(6):1070-1072. Jones HE, O´grady K, Dahne J, Johnson R, Lemoine L, Milio L, et al. Management of acute postpartum pain in patients maintained on Metadone or Buprenorphine during pregnancy. Am J Drug Alcohol Abuse. 2009;35 (3):151-156. Akbarzade M, Ghaemmaghami M, Yazdanpanahi Z, Zare N, Mohagheghzadeh A, Azizi A. Comparison of the effect of dry cupping therapy and acupressure at BL23 point on intensity of postpartum perineal painbased on the short form of McGill pain questionnaire. J. Reprod. Infertil. 2016;17(1):39-46. Marcus HE, Fabian A, Dagtekin O, Schier R, Krep H, Böttiger BW, et al. Pain, postdural puncture headache, nausea, and pruritus after cesarean delivery: a survey of prophylaxis and treatment.Minerva Anestesiol 2011;77 (11):1043-1049. Kulo A, van de Velde M, de Hoon J, Verbesselt R, Devlieger R, Deprest J, et al. Pharmacokinetics of a loading dose of intravenous paracetamol post caesarean delivery. Int J Obstet Anesth. 2012;21(2):125-128. Kulo A, Peeters MY, Allegaert K, Smits A, de Hoon J, Verbesselt R, et al. Pharmacokinetics of Paracetamol and its metabolites in women at delivery and postpartum. Br J Clin Pharmacol. 2012;75(3):850-860.